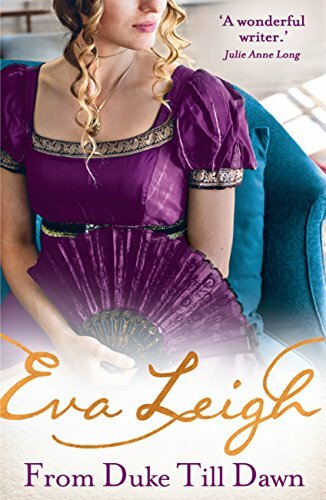 Eva Leigh is a new author to me, so I wasn't sure what to expect. What I got was a handsome duke and a woman who had to lie to get what she wants. For me the book started slow...but it does pick up, especially when Cassandra and Alex meet. Overall its a good book, but it didn't wow me. This is a trope that I have read before and have found enjoyable...but for me this book left me feeling that something was missing. If you are a fan of Ms Leigh's books, then you will like it. The next question is would I read other books by Eva Leigh, I'm willing to read other books by Ms Leigh. So the stars I give will be 4/5, which isn't too bad. This book is available to buy from Amazon UK and all other retailers. I received this book from Netgalley for Mills and Boon Insiders. In return for a honest review.